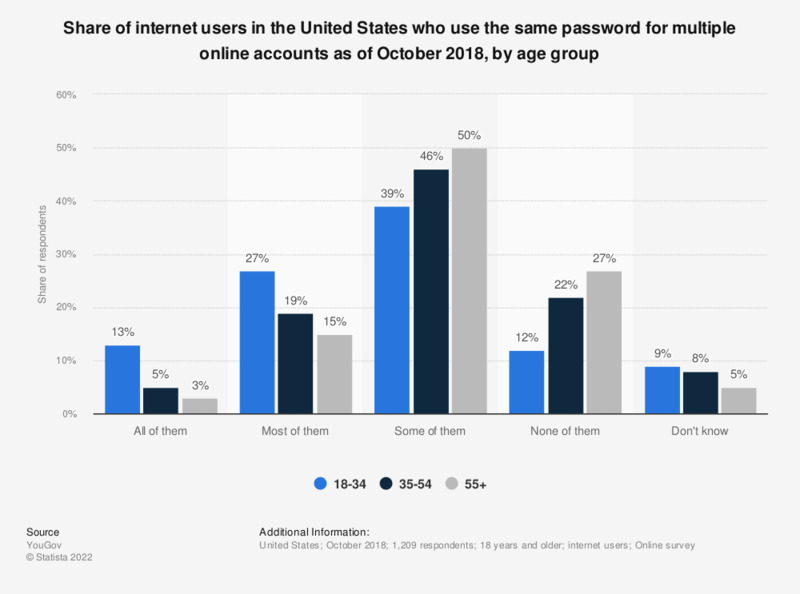 This statistic shows the share of internet users in the United States who the same passwords across multiple online accounts as of October 2018, sorted by age group. During the survey period, 13 percent of respondents aged 18 to 34 years stated that all of their online accounts had the same password for login. Original question: Thinking overall about the passwords you use for online logins...How many of your accounts use the same password for online logins?